Whipped up in less than an hour, Russell Brown's gluten-free bread recipe is ideal for a midweek dinner. 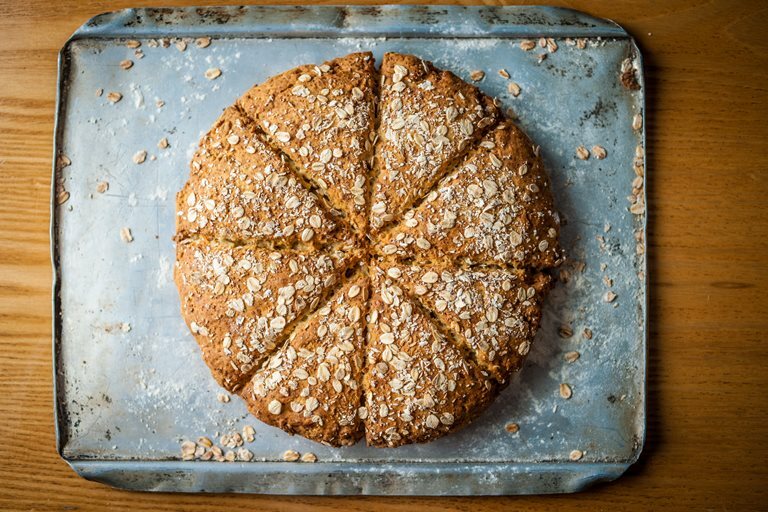 Eggs are not traditionally used in soda bread recipes, but Russell has found that they help to bind the dough together. If you don't have a steam oven, follow the cooking method provided in step 7 and beyond. For more gluten free recipes, visit our collection.